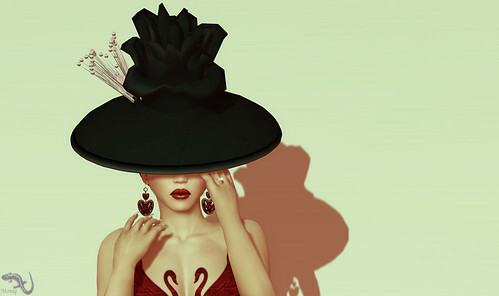 ~ Bits and pixels of Second Life fashion. And more. Tips&Tricks. A post about where from and how to. And to say thank you! I’ve been planning for a while to do this: a post to mention where I find location for photos, what tutorials I read or watched to edit the snapshots and what windlights I use. And maybe more than that, will update as I go. Also, this is a “Thank you post” for all those amazing designers, bloggers and photographers who know lots of tricks and are sharing them. Without them, my photos would be ugly and jaggy! Finding the best place for photos is not such an easy endeavor. It takes time and sometimes lots of crashes to find the perfect one. Of course, one way to find places is fly around the grid, but how many of us have the time for that? Eve Kazan. She is an amazing photographer and also makes interesting stuff, but what I want to highlight here is the fact that she always posts the location of her photos on her blog. With the exact spot! When I need a new place to take my snapshots, it’s the first place I go too. Cajsa Lilliehook. She is one of the bloggers for It’s Only Fashion and while I love all contributors, Cajsa is always the one who posts the SLURLs for locations. Also, she made a comprehensive notecard of places for photos, available here. Avatars in Motion. Though it has not been updated for quite a while, it is a fantastic resource for locations. Harlow Heslop. She is not only an amazing photographer and blogger, but also one of the few people that I trust no matter what. Her blog has a special category for great locations too. SL Destination guide. I’m not listing this one in the top three because sometimes it’s a hit and miss, but sometimes what you see in the guide is indeed what you get when you TP. 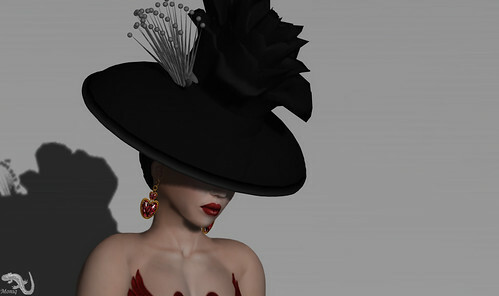 It also helps to keep you up to date with events in SL. Koinup. A great collection of photogenic spots gathered by Koinup users. Definitelty worth checking out. Stock images. The solution for lazy people or those with major lag problems. This is a collection of amazing photos taken by SL residents that you can use as a background for your photos. If you do so, please mention their work! Ely’s random Photoshop tips. I’m listing Elysium Eilde first because in her list of video tutorials you’ll find the best tip ever to get rid of the damn lines in the photos! Obviously, there are several useful tutorials by Ely, but this one is my favorite ever. No I almost wish to get more lines in the pics so I can kick them out with two clicks! Katey Coppola’s video tutorials. Another useful Youtube resource! Katey Coppola has lots of great tutorials that can help you make a decent snapshot into an amazing photo! Also, if you want to do pileups or add stuff in PS, such as lashes, this is the place to go! It’s Only Fashion Blog. The amazing bloggers there made a comprehensive tutorials page where you can find lots of tips and tricks plus marketing advices! Harlow Heslop. Again. Harlow also has a comprehensive tips & tricks page, that will help you with your photography, but also with advices about day to day SL. Strawberry Singh. Obviously, one can’t talk about SL photography without mentioning Strawberry Singh. Not only she provides tutorials for phtography, but also for handling SL viewers. Her tutorials page is a must read! Strawberry Singh. Her windlight settings are pretty amazing and lots of them! You can take your snapshots with silver, green or blue sky, foggy or clear, whatever suits your mood. Also, she has great WL settings for no-shadows too, my everyday SL is seen on her close-ups WL setting. Believe me, you need them! Luna Jubilee. Every season has a specific light, and Luna’s WL settings are meant to suits the seasons for natural looking photos. Definitely worth trying! It’s Only Fashion Blog. Want to make your own windlight settings in SL 3.0? How about you take Cajsa’s advice? I tried it and it works like a charm! Graphic Dix. For indoor pictures with shadows, you definitely need to read this tutorial about local lights. It’s one of the most useful lessons ever! PS. I am sure I missed great resources in this post. These are mainly the people who helped me improve my work, so I’m saying again a big Thank you! If you know other tutorials that can help us improve our photos, please write them down in the comments or IM me. There’s always room for improvement! thank you so much for all of this info! i put a link to this post in my recent post here..
i added your blog to my blogroll as well..would you mind adding mine to yours?